Sasakawa USA, in partnership with the Strategic and Defence Studies Centre at Australian National University and the Command and Staff College of the Japanese Maritime Self-Defense Force, convened a public forum in Canberra, Australia to discuss the current status of the U.S.-Japan-Australia trilateral maritime relationship and explore means for further strengthening and future cooperation. 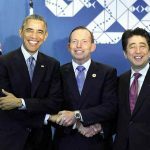 Easier Permanent Residency for Highly Skilled Foreign Professionals—Is Japan Ready? The administration of Prime Minister Abe Shinzō has made luring more “highly skilled foreign professionals” to Japan a critical link in its growth strategy. 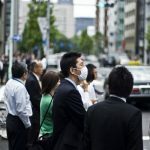 Yet the problems could far outweigh the benefits if more and more immigrants are allowed into Japan before appropriate preparations are put in place. On January 14, 2016, Sasakawa USA celebrated the release of “U.S. 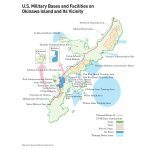 Bases in Okinawa: What Must Be Done, and Quickly,” a new report co-authored by Sasakawa USA Chairman Admiral Dennis Blair and Fellow James Kendall, with a roll-out breakfast. 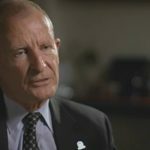 Sasakawa USA’s Adm. Dennis Blair is featured prominently in an episode of “Four Corners,” a 45-minute long news program on current affairs that airs on the Australian Broadcasting Corporation. 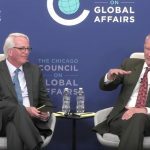 The episode, entitled “China Rising,” focuses on Australia’s role in the South China Sea, where both the United States and China seek military dominance.